The hut for up to 6 people is situated on a sunny plateau, next to a small ""Wellnessalm"" with a double room and an entry to the wellness area (for a charge). The hut is situated about 100m under the cable car middlestation and the farmed hut (open in winter and in summer in the peak season) and directly at the descent to the valley Bramberg. During winter you can reach the hut by taking the ski lift (luggage transportation with the skidoo if requested). In summer the cottage is accessible by car. Ski slope in front of the cottage, access to the longest snowy natural toboggan run in the world (illuminated 7km to Bramberg) is next to the cottage. 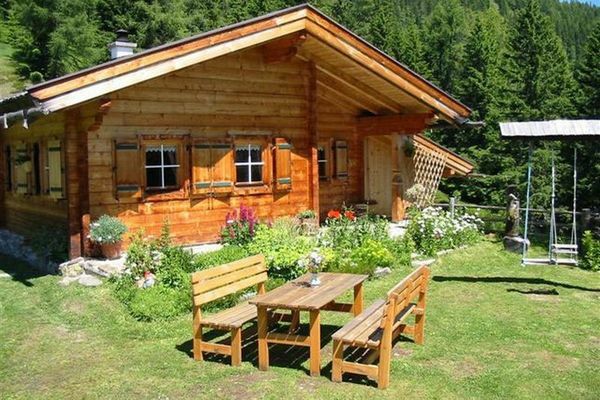 In summer the 4km long mountain go-kart course ends above the cottage at the middle station. That is fun for the young and the young at the heart. Ideal starting point for hikes and bicycle tours. 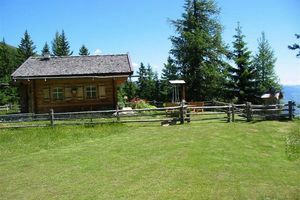 Below the hut in Neukirchen (7km): train station, shopping possibilities, swimming pool, tennis court, bicycle rental and horseback riding possibilities. Bread roll service at the farmed hut in winter. This charming hut for 6 persons contains a snuggery with lounge and tiled stove, ascent to 2 sleeping berths under the roof, kitchen with electric cooker (2 plates), fridge, dishwasher, microwave, coffee machine, tiled bath with shower/toilet, 1 small four-bed room. Spacious cool storage cellar with 18m², heating via tiled stove and electrically. Bed linen, ski boot dryer, radio available, towels to be brought along. On request neighboured building with double room (16m²) and stairway down to the "Wellnessalm" (42m²) with sauna, whirlpool, toilet, experience shower, relax room with satellite TV can be booked if needed. In front of the hut are seats, sunbeds, a swing, a barbecue and a small well.